Chaouachi Kamal, Kamal Chaouachi. 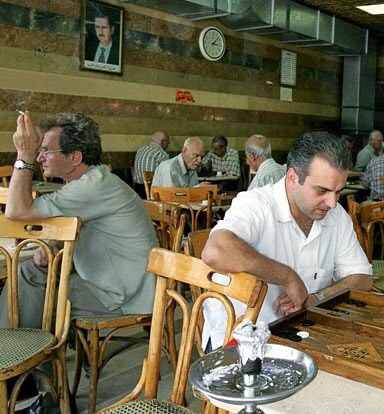 The Syrian Ban on Smoking in Hospitality Venues (Cafes, etc. ): Revolution: The Challenge of Scientific Integrity [Internet]. Version 10. The Middle East Peace Pipe (Scientific & Ethical Issues). 2014 Jan 9. Available from: https://hookahhealth.wordpress.com/article/the-syrian-ban-on-smoking-in-534k6mvefph-8/. «Independent Syrian experts are likely right to say that the ongoing pseudo-revolution there (17 months now) is meant, not only to achieve macro objectives in the region but, also, in the end, a certain lifestyle (all independent travellers knowing Syria will understand): the simplicity of daily life, its low cost, Middle East sociability best expressed by Syrian coffee-houses and patios with their gurgling narghiles, etc… What is at stake is the repeated intent, begun in Iraq, to implement the US Great/New Middle East Project at all levels: from the political hyper-structure to the socio-cultural aspects. In the view of their designers and their men in the region, the “Arab way of life” must be shattered thanks to the emergence of a consumerist society essentially based on competition. Why does not he clearly mention which ideology he refers to ? What about the prohibitionist antismoking ideology he is a champion of ? Why has he been selling -since 2002 (the official date, according to him, of research on shisha smoking)- the global waterpipe health scare to US “public health” agencies ? [**] Is s not this reminiscent of another tragic character of the region : Ahmed Chalabi’s who sold to US falcons a whole country (Iraq) on grounds of similar scares (about so-called “mass destruction weapons”) ? What was not said in the media about the Syrian President’s sudden decision to ban tobacco smoking in all public places, including cafes, is that such a move has been prepared, for years, by US and Syrian antismoking activists, particularly those based in Memphis and Virginia Commonwealth Universities (Wasim Maziak, Thomas Eissenberg, Kenneth Ward). The latter are the three main researchers of the US funded (up to about $ 7 million) so-called Syrian Centre for Tobacco Studies (US-SCTS). the graphic communication symbol (logo) of this organisation (image below) is clearsince it represents a narghile (hookah, shisha), not a cigarette or a cigar… Consequently, what is the target is actually Narghile, an objective negated for many years by the director of the US-SCTS (Wasim Maziak) but eventually revealed in an antismoking journal . 4]. However, for specialists (not lay persons), it appears that one member from the US-American University (Samer Jabbour) stood behind this alert. Unsurprisingly, he is an antismoking colleague of the four above-mentioned ““waterpipe”” experts. All of them are also members of Globalink, the world antismoking network of about 6,000 activists around the world, sponsored by the pharmaceutical industry (Pfizer laboratories among others). First question regarding the Syrian sudden smoking ban : Where is the local science that would justify it ? 7], prepared by the above experts. Wasim Maziak is one of the chief authors whose contribution was camouflaged but, under exceptional circumstances, eventually declared after two years… This report states, among other many errors:“Second-hand smoke from waterpipes […] poses a serious risk for non-smokers”. 8]. These papers contains many errors and flaws and have been revealed in a critical comprehensive review on this issue . 6]. The scope of each of its sections is so broad that this reference can be called down or cited in almost any case, particularly when sound scientific evidence is lacking. Because most of the states of the world are signatories of this treaty, national legislation can, most of the time, be easily overidden. The Middle East Online. Does not it clearly show that Syrian coffee houses, which are famous around the world for their unique atmosphere, are apparently well ventilated ? Indeed, all independent “passive smoking” experts of the world agree that a good ventilation system is quite enough to eliminate any risk for non-smokers . Only antismoking social engineers, obviously more concerned with changing lifestyles than improving the health of peoples, state the opposite. Second question regarding the Syrian sudden smoking ban : where is the International science behind bans on smoking in cafes ? 15]. It appeared that it was based on manipulated statistics. This official publication was debunked by the France top tobacco authority himself . In France, there have been two interesting related events. On the one hand, the antismoking experts of the national health agency (INPES) have also been victims of a deadly optic illusion just as their UK colleagues (see image). 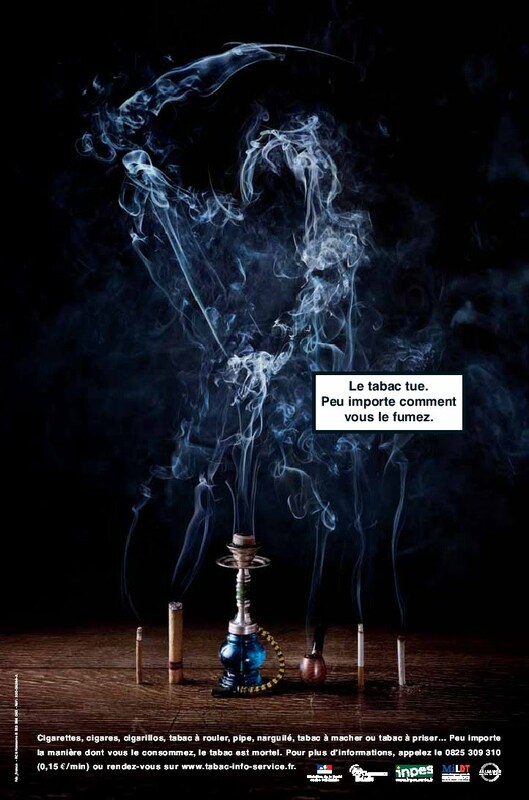 On the other hand, two French shisha experts (Bertrand Dautzenberg, president of OFT, the national antismoking agency, and Jean-Yves Nau, a medical journalist with Le Monde national newspaper) have published in May 2007 a 144 page “book” on the great hazards posed by hookah smoking, and particularly passive smoking. This “book” aimed to be the hookah “scientific basis” for the French Ministry of Health. The latter enacted a decree (similar to the Syrian one) making no distinction between hospitality venues and other public places, not to mention between tobacco forms (cigarette, cigar, narghile, etc.). 21]. Further to all these revelations, the French hookah lounges kept working in spite of the unscientific decree. 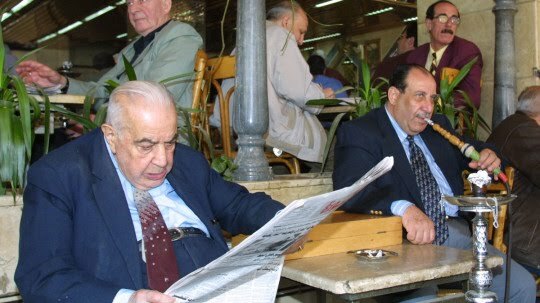 Note: on further developments in the region (Lebanon, April 2010): See related Knol :The Lebanese Ban on Smoking in Hospitality Venues (Cafes, etc. ):US Interventionism and Prohibition in the Name of the FCTC (Framework Convention on Tobacco Control). Knol. 2010 (Apr 14)]. 22],i.e.the inception date of his US-funded antismoking organisation. Of course this is a blatant lie. There is unfortunately no other word to describe such a behaviour because there had been numerous valuable scientific independent (this is very important) studies published over the last decades. If a date were needed, it would be 1622 and certainly not 2002… Because of the negative results (i.e.unexpected results, unacceptable by antismoking researchers), these important studies have been systematically glossed over (i.e.not cited) in the mainstream (antismoking) literature of these last years. 23]. However, he would certainly be more credible (and also avoid the accusation of hypocrisy by critics) if he had also criticised, in due time, the “authoritarian regime” of the previous US Administration. He has not. Instead, he kept writing papers designed for a neo-orientalist audience made up of “Western” media and journalists always fond of stories and “revelations” about the strange “exotic” habits in the Middle East. He and his team have rendered Arab women (defenseless since few among them can read English and respond in English in the US media) responsible for the narghile epidemic and went so far as stating in the WHO flawed report that it is common to see children smoking the narghile with their parents in the Arab World . Maziak would also be more credible if he had condemned the sudden tobacco prohibition in Syria as a “dictatorial” measure, wouldn’t he ? Anyway, this kind of prohibition related to a societal lifestyle is antithetic to the values of Arab societies whose people have a long tradition of tolerance in this respect. Did not the first cafes in the world saw the light in the Middle East and particularly in Syria by the half of the 16 th century ? i.e.Memphis and Virginia Commonwealth Universities) ? Middle East Online. Syria bans smoking in public places. Syrian President issues decree forbidding smoking, sale of tobacco in any form in public places. 12 Oct 2009. Chaouachi K. Letter to Ms. Amat Al Alim Alsoswa, Director of the Regional Bureau of UNDP (United Nations Development Programme). Subject: complaint about the 2009 release of the UNDP Report viewing Hookah (shisha, narghile) smoking as a threat to “Human Security in the Arab World”. 26 Sep 2009. Globalink, the world antismoking network of about 6,000 activists around the world. Chaouachi K. A Critique of the WHO’s TobReg “Advisory Note” entitled: “Waterpipe Tobacco Smoking: Health Effects, Research Needs and Recommended Actions by Regulators.Journal of Negative Results in Biomedicine 2006 (17 Nov); 5:17. Maziak W, Ali RA, Fouad MF, Rastam S, Wipflin H, Travers MJ, Ward KD, Eissenberg T. Exposure to secondhand smoke at home and in public places in Syria: a developing country’s perspective. Inhal. Toxicol. 2008; 20: 17-24. Chaouachi K. Hookah (Shisha, Narghile) Smoking and Environmental Tobacco Smoke (ETS). A Critical Review of the Relevant Literature and the Public Health Consequences. International Journal of Environmental Research and Public Health. 2009; 6(2):798-843. Maziak W, Ward KD, Eissenberg T, Klesges RC, Keil U. The [US-] Syrian Center for Tobacco Studies: a model of international partnership for the creation of sustainable research capacity in developing countries. Promot Educ. 2004;11(2):93-7, 116, 134. Chaouachi K. An Anthology of Serious though Widespread Errors in the ““Waterpipe”” (Hookah, Shisha, Narghile) Mainstream Biomedical Literature:Tobacco is Dangerous. However, parotting in this field of research has been detrimental to public health. Knol 2009 (18 Oct). Chaouachi K. Letter to the Editor of Arab News 2009 (4 Sept). Gatrad R, Gatrad A, Sheikh A. Hookah smoking. BMJ 2007 Jul 7;335(7609):20. ASH (Action on Smoking and Health). ““Shisha 200 times worse than a cigarette” say Middle East experts””. 27 March 2007 (prepared by Martin Dockrell)(accessed 13 June, 2008) [based, among others, on an interview with Wasim Maziak and Alan Shihadeh]. Snowdon, Chris. Shisha Madness: BBC and Department of Health accused of “gross exaggeration” in shisha story. 29 Aug 2009. Maziak W. The crisis of health in a crisis ridden region. Int J Public Health. Published online 7 Aug 2009.